Our adult dog training course is aimed at dogs over 20 weeks old that are new to training – or where owners want them to brush up on their basics. Classes are all about learning good dog obedience and behaviour with distractions. We’ll show you that dog training does not have to be stressful, difficult or a chore. We also teach lots of fun tricks and games to mentally stimulate your dog so if you want your dog to learn to fetch your slippers, learn some tricks or a bit of heelwork to music (doggy dancing) then this is the dog training class for you! We like to look upon it as “dog training made easy” as it’s a lot of fun! We certainly do not believe the old adage that “you can’t teach an old dog new tricks”! has a pre-requisite: you’ll need to bring your dog for a free, informal assessment before joining this class. This is just to ensure that your dog is suitable for a class environment. The assessment should only take 10 – 15 minutes and will take place during a current class. Please contact us to arrange this assessment. We always have a flexible approach – if there is something in particular you want to work on with your dog, be it improving his recall, controlling him at a distance or stopping him from pulling on the lead – then let us know and we can work on it with you. Note that our “over 20 weeks” rule also applies to puppies over 20 weeks old. As we explain on the FAQ page, at around 5.5 – 7 months of age most puppies will start to become adolescents and their behaviour and training needs will be different to that of a younger puppy. 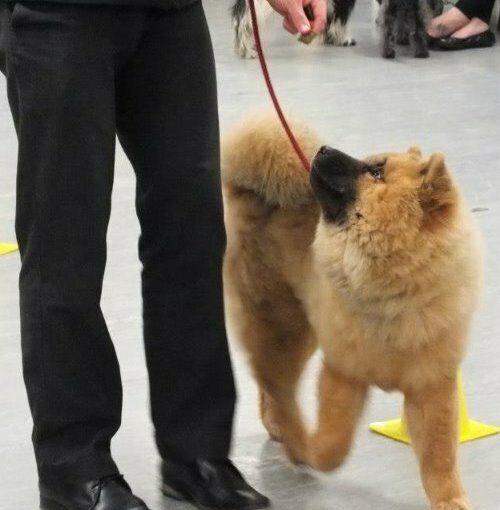 The Adult Beginners Obedience course is more suited to this stage of development and you – and your dog – will gain much more from attending this course. The basic exercises will still be covered and the course is suitable for a complete beginner, the only difference is you will receive information relevant to your dog’s current stage of development. The cost of the course is £65; we require the full course fee to secure your place. (Please also see our Course Fees & Refunds policy). 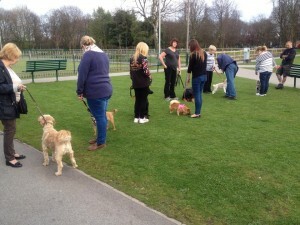 Please get in touch with us to find out when the next Adult Dog Obedience course begins.